After filling the tank, checking the oil & water levels & tire pressure, I was set to go. With his usual smile & salute, this friendly gas boy from Caltex cheerfully bade me a safe trip. It was such a warm thought that kicked off my short holiday. I hit the gas & sped uphill to Ne-yo’s Closer. I call this road trip a Weekend Escape Skewer, threading the Bukidnon-Davao road, or better known as BUDA, leaving no picturesque sight uncaptured & famous local food unsampled. This vacation captures the classical elements of earth, water, air & fire. The first stop was Seagull Mountain Resort in Kitaotao, Province of Bukidnon. 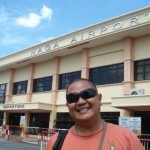 This place has been for so many years the best stopover for travelers plying the Cagayan de Oro-Davao route. It is a long winding drive from northern Mindanao going south, passing through narrow & steep mountains overlooking wild rivers & amazing cattle farms. As you go up higher on altitude, the weather becomes cooler. What better way to enjoy the view & the fresh air is to roll down your car’s window & snake through the thick greens. After nearly 5 hours of drive, I reached Seagull by sundown catching a glimpse of the fading orange sunlight atop the panoramic pavillon. The accommodation is modest in presentation & even in comfort. Choices for a place to stay come from grand capacity group outings, to condo space type weekend backpackers. There are also log cabins for family or honeymooners & tents for the adventurous campers. For better comfort, it is best to bring your own linens especially for smell & itch sensitive travelers. Food at the restaurant is exorbitantly priced & it awfully doesn’t taste good. It is recommended to pack a few trusted instant meals & bottled water. Surprisingly, there is no room service too & if you don’t want to make a long walk back & forth to the restaurant, better order everything one time. Don’t look for air conditioning units because the mountain breeze is more than enough to turn your legs into shriveled papayas. There may be a decent water supply in the room but don’t trust the water heater because chances are, it’s defective. But I did not let these awful resort amenities ruined my overnight experience as I was there to enjoy the view, the breeze & the silence of the place. Those I can say million thumbs up! Being a mountain resort, there’s one sure thing to expect, the beautiful fireflies dancing in pitch-black woodlands. It is such a wonder to see these all the tiny lights creating a dramatic effect as you sip your evening coffee under the moonlit night. At the break of daylight, I trekked on foot the slopes going down to the waterfalls. The murmurs of the cool waters springing from the rocks are such wonderful music that soothes the weary city soul. Its cascades are caught by basins of swimming pools perfect for an early dip. Another must-see attraction is the statue of the Our Lady of the Forest, a huge image of the Virgin Mary on top of a hill overlooking the Arakan Valley. It’s a short walk uphill passing through thick bushes & wild flowers. The view atop is so refreshing. The expanse of the Arakan Valley, the flight of birds, the smell of freshness & the contemplative silence are just so precious. BUDA is a camping destination. Over the years, a lot of mountain resorts have operated & some private vacation houses opened their doors to travelers. The recent attraction here is the zip line adventure offered by The Yellow Gate Resort & a larger than life metal sculpture depicting a Bagobo man. Bonfire at night is a great way to chitchat over ice cold beer while just lying on the sand & do star gazing. Best buys are fresh vegetables, strawberries & ornamental plants just along the highway. If you like trinkets & handicrafts, the cheerful natives belonging to the Matigsalug tribe are most happy to showcase their products. In this day & age, when everyone is swamped with the seemingly unending stress of city life, an occasional weekend escape may just be a rewarding experience. Come to BUDA. Taking off from Davao City in the south of Mindanao is a shorter route. Taking off from Cagayan de Oro in the north of Mindanao is a longer route passing through the Province of Bukidnon. If you are not in a hurry, this route is best recommended so you can also enjoy the beauty of Bukidnon’s mountain ranges. The sites in BUDA are not confined in one resort only. There are no public transport for short distances (between sites). It is best to bring your own vehicle to avoid the hassles of hitch hiking or waiting for buses to pass by. While there are a few resorts that have opened in the area, Seagull Mountain Resort is by far the oldest in business & might have better amenities other than just a place to sleep. 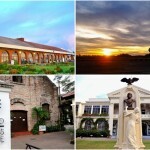 Contact details: +63 82 2960303; +63 82 2864124; www.seagullresorts.multiply.com. Bring hiking shoes because trekking can be so tempting. Cooking your own food is possible & recommended if you want to save. blog mo unang kong tinignan for tips sa next travel ko which is davao. and akala ko si boom ung nasa picture. payaaaat! hahahahaha love you, pot! Hahahaha uso na yan ngayon Jinds. Hi, you mentioned the food was aweful at the resort. Just wondering where can you find other restaurants that offer lunches if you only want to go for a day tour? hello. sorry, that post was a long time ago & i haven’t been back there since 2014, i think. there must be some new place else since buda has become quite a favorite stopover place now.